A honeymoon in Australia promises both a romantic and active getaway. There isn’t much you can’t do on a honeymoon in Australia, whether you like relaxing on beaches, exploring sophisticated cities or visiting extraordinary natural wonders. There is no shortage of superb places to stay either, from rural hideouts to world-class spa hotels. But visiting a country so vast — and expensive — requires some planning. Read on for our suggestions on where to go on your honeymoon in Australia, for all types of newlyweds. Sydney is well-known for its luxury hotels and fine-dining experience and is a great place to start a honeymoon. Mornings in Hunter Valley are the perfect time to take a hot air balloon ride. 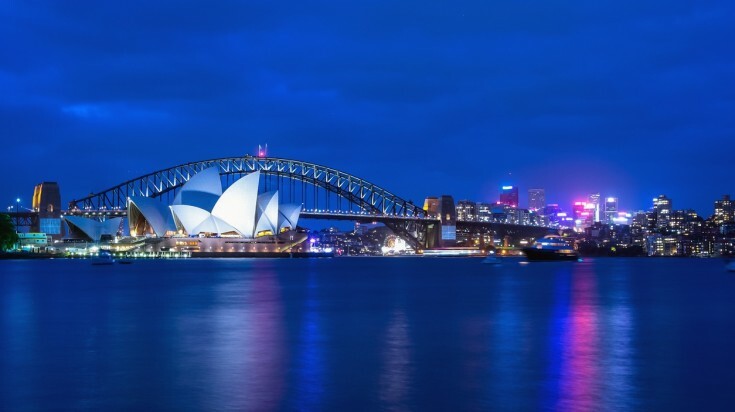 Sydney has all the elements of a perfect romantic getaway, from luxury hotels and refined dining experiences to out-of-the-ordinary experiences like climbing the Harbour Bridge. 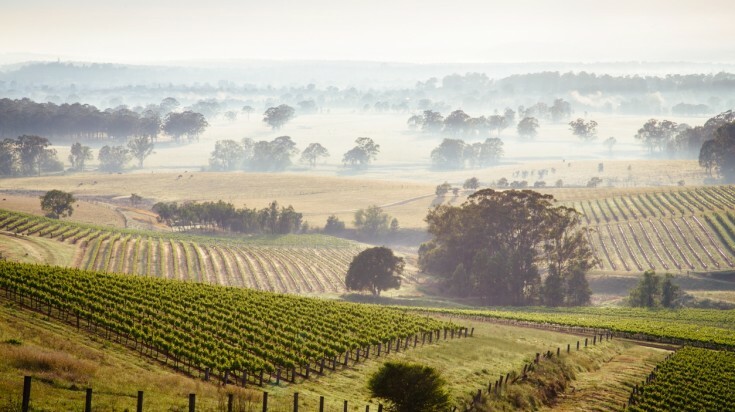 If you share a liking for wine, then Hunter Valley is a short drive away. Only a couple of hours from the city is the UNESCO-protected Lord Howe Island, a beautiful wilderness which allows only 400 visitors each day. Why go: To fly in a seaplane over the harbour or watch performances at the opera. When to go: September – November. During these months the days are dry and warm, but you’ll miss the December and January crowds. Insider tip: See Handa Opera's production of West Side Story on Sydney’s harbour complete with three-course dinner, champagne and fireworks. Kangaroo Island is home to Australia's endemic mammals like sea lions, koalas and of course, kangaroos. 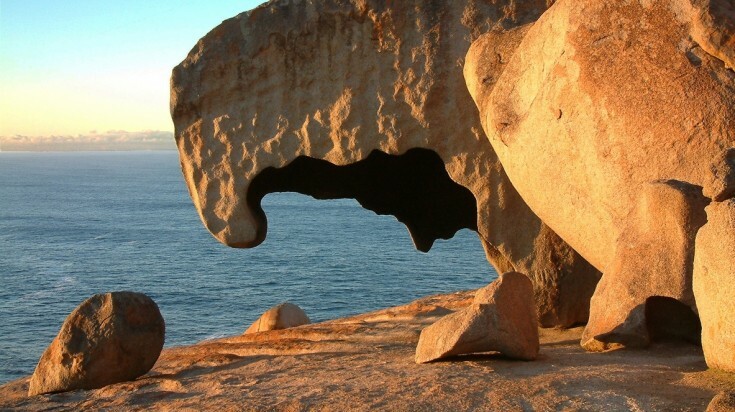 The Remarkable Rocks is a famous landmark on Kangaroo Island. A visit to Kangaroo Island is a once-in-a-lifetime experience. As well as being home to Australia's endemic mammals, this special wilderness boasts excellent local produce — and romantic restaurants to enjoy it in. There are plenty of activities couples can do including hiking, kayaking and snorkelling, and the size of the island means you will likely find a deserted spot. Accommodation options include luxury lodges and boltholes in the wild where you can stargaze at night and wake to breathtaking views. Why go: To see kangaroos, koalas and sea lions in the wild. To enjoy romantic restaurants that serve local produce. When to go: May – September. While Kangaroo Island is busiest in the summer, the winter months are in fact the best time to see the wildlife — including whales. Insider tip: The Remarkable Rocks, a landmark on the island’s south coast, is a romantic location to watch the sunset from. 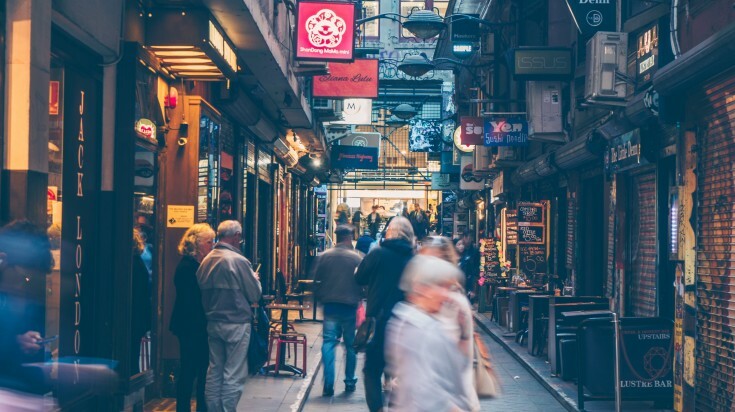 Melbourne is home to cozy wine bars, jazz clubs and intimate restaurants situated within its alleys. Melbourne is a great destination for couples in love; the city abounds with cozy wine bars, jazz clubs and intimate restaurants. Known for its art scene, the dozens of galleries and museums are perfect for wandering around in. Wine and food lovers can visit the Bellarine or the Mornington Peninsula, which boasts an award-winning natural hot spring. Why go: For vibrant nights out and the best culture Australia has to offer. When to go: September – December. The Spring months are warm, and you’ll miss the crowds that flock to the Great Ocean Road in the summer. Insider tip: Visit the Eureka Tower Skydeck during sunset for unparalleled views of Melbourne and enjoy a romantic dinner for two and drinks. Entrance fee to the tower without addons costs USD 15* per person. 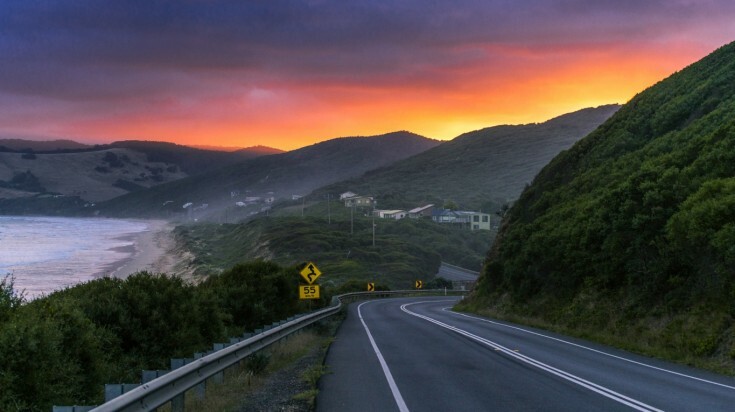 Take a road trip together and drive the Great Ocean Road. 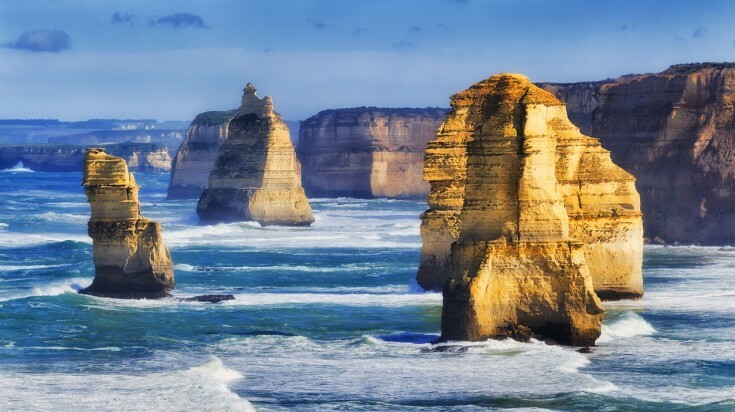 The 12 Apostles is one of the highlights of the Great Ocean Road. Mark the start of your journey together by driving the Great Ocean Road. Australia’s most well-known road opened in 1932 and was built as a First World War memorial. You’ll drive through pretty towns and national parks, past great surfing beaches, vineyards and the famous 12 Apostles. There is plenty to do along the way including walking, hiking and scuba diving. Why go: To experience the best of Australia in one trip. When to go: September – November. In summer there is less chance of rain, but it will be very busy, so consider Spring; still warm but without the crowds. Insider tip: If you don’t drive, there are several sightseeing tours of the Great Ocean Road you can take instead. Located right at the center of Australia, Uluru Kata-Tjuta National Park is truly romantic. Experience Australia's outback on a trip to Kings Canyon. With its timeless landscape of ever-changing colours, Uluru Kata-Tjuta National Park is impossibly romantic. 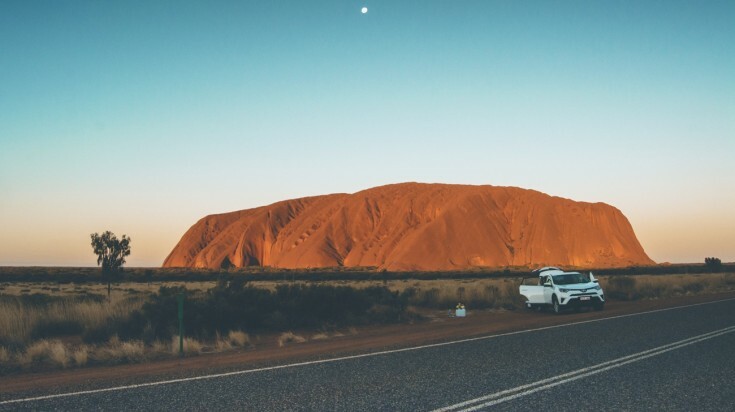 One of the best places to visit in Australia for a honeymoon, lovers can watch the sunrise over breakfast, dine under the stars, and even stay overnight in a luxury lodge on a tour to Uluru rock. 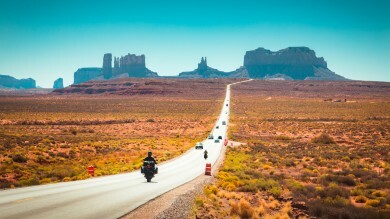 More adventurous duos can skydive over the desert, or ride around the rock on a Harley. 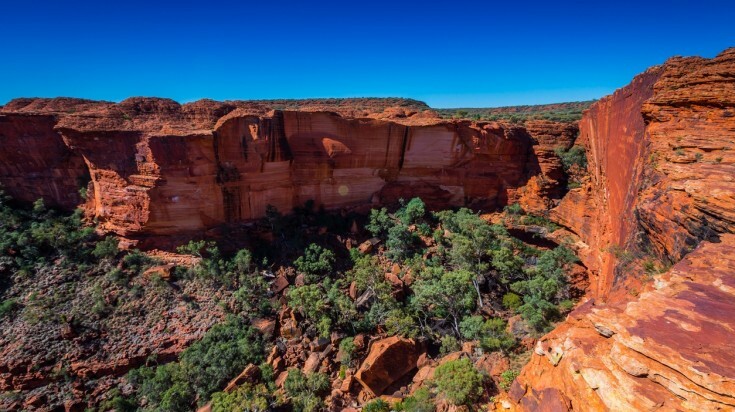 Make the most of your trip to Australia's red center and squeeze in a visit to Kings Canyon where you get to camp in the outback and explore the Aboriginal culture. But with no light pollution for miles around, merely gazing up at the night sky is magical enough. Why go: To see Australia’s most iconic landmark with your own eyes. When to go: September – November. Spring is cool enough for hiking during the day while avoiding the summer holiday crowds. Insider tip: Don’t miss a chance to have dinner at Bruce Munro’s Field of Light, a spectacular art installation consisting of 50,000 solar powered lights. The art installation can be visited only until December 2020. 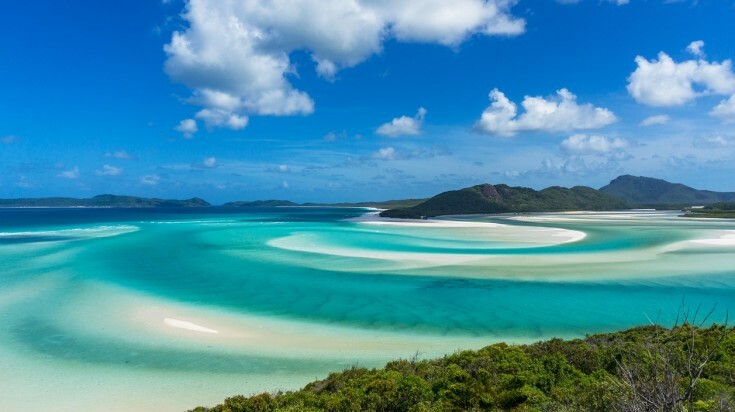 Whitehaven Beach is a favourite for couples, thanks to its gleaming white sand and turquoise beaches. Take a stroll on the powdery, white sand of Whitehaven Beach. With gleaming white sand and turquoise seas, Whitehaven Beach is one of the most classic honeymoon destinations in Australia. There are plenty of romantic things to do here, including taking a sunset catamaran cruise and enjoying fine-dining. There is even a heart-shaped reef (called, you guessed it, Heart Reef) which you can photograph from the air. Couples who love the sea can scuba dive, snorkel, kayak and sail together. But a word of warning — the insta-famousness of the Whitsundays means you'll likely be sharing your experience with others. Why go: To see one of the world’s most unspoiled beaches. 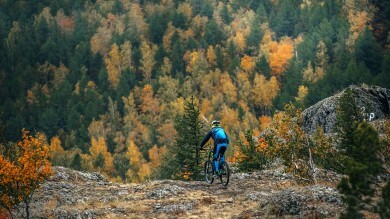 When to go: September – October. Visit in Spring when the temperatures are still warm but there is hardly any rainfall — you’ll avoid the jellyfish season too. Insider tip: Whitehaven Beach can be busy with tourists so for a more private experience, fly in by seaplane for a picnic on the beach and fly out again. 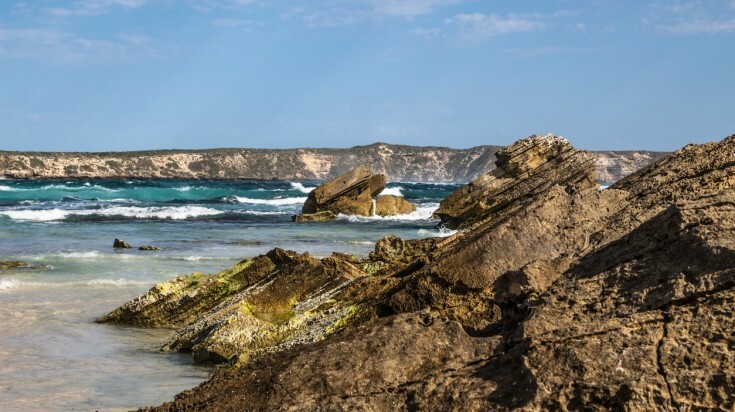 The Eyre Peninsula has an unspoilt coastline where couples can swim, dive and snorkel together. 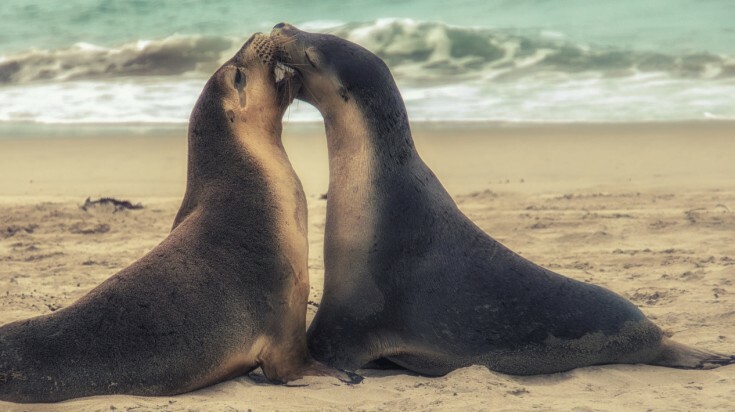 With its unspoilt coastline and abundant marine life, the Eyre Peninsula suits active twosomes who want to swim, dive and snorkel together, see whales and sea lions. At Coffin Bay, couples can take an oyster farm tour and taste some of the world’s best oysters straight from the sea. With the nearest city, Adelaide, a six-hour drive away, this region is perfect for a unique honeymoon adventure. When to go: March – May. Visit in Autumn and the beach will be empty of crowds. Insider tip: Visit Ceduna in October when the town holds the annual Oysterfest, a food and wine festival showcasing the best produce from the region including, of course, oysters. Cairns is often considered the gateway to the Great Barrier Reef. With reefs, rainforest, and national parks on its doorstep, Cairns is an adventure playground for nature-lovers. 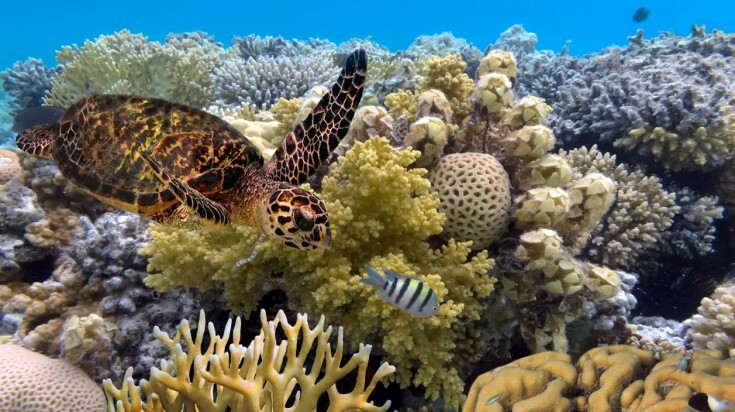 Great Barrier Reef trips, night-time jungle walks, river cruises and bush adventures can all be organized from the city. There is an array of special places to stay locally, including rainforest retreats and canopy treehouses. If you are looking for something more exclusive, Bedarra Island is the perfect lovers’ retreat. Why go: For a relaxing slice of paradise after tying the knot. When to go: July – October. Go in Winter, when temperatures are warm but not too hot, and you will also avoid the jellyfish ‘stinger’ season. Insider tip: Nearby Port Douglas has some excellent local restaurants for a romantic dinner for two. 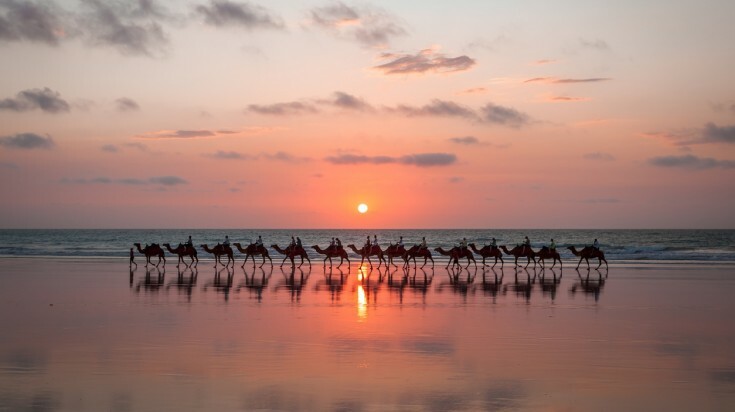 In Broome, couples can experience one of Australia’s great wildernesses. Historic Broome is on the edge of the Kimberley, one of Australia’s great wildernesses, making it a great destination for adventurous honeymooners. Just-marrieds can spend a night in the outback under the stars, or road trip to Cape Leveque and find their own deserted beach. For a truly memorable experience, the Kimberley can be explored by hot air balloon. Broome itself is home to Cable Beach, one of Australia’s best beaches. Originally a pearling town, it has several jewellers who will make you a bespoke piece of pearl jewellery. Nearby Ganthaume Point is a perfect spot to watch dolphins from. Why go: Because there is nothing more romantic than having your own adventure. When to go: May – June. The days are warm, there is hardly any rain and you will avoid the July and August crowds. Insider tip: In September Broome hosts the two-week Festival of the Pearl, which celebrates the town’s pearling history with a float parade, fireworks and al fresco dining on Cable Beach. 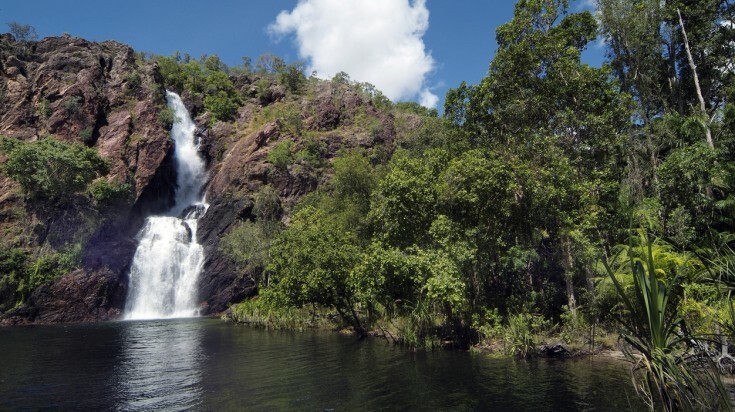 Litchfield National Park in Darwin is known for its beautiful waterfalls. Experience a floatplane safari around Litchfield National Park, cruise in the Mary River wetlands, or road trip to Kakadu National Park; Darwin is a place for would-be explorers. In and around Kakadu National Park there are luxury hideouts where lovers can enjoy romance and seclusion. In the town itself, couples can dine in romantic restaurants on the waterfront, watch the sunset from Mindil Beach, or take a cruise around the harbour. Why go: For a taste of authentic Australian life and for wilderness adventures. When to go: June – September. Visit in the dry season when it is not too hot or humid. Ideal length: 10 days (including Kakadu National Park). Insider tip: Nightcliff Jetty is a local spot with a gorgeous view where you can swim, watch the sunrise or have a romantic picnic. 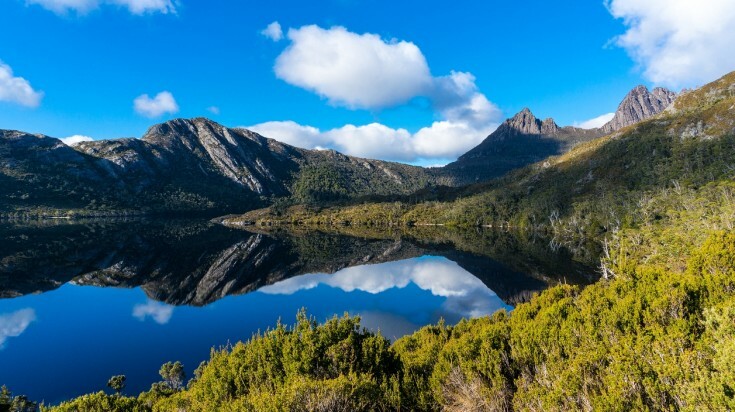 Lake Dove, located within Cradle Mountain-Lake St Clair National Park is a great place to go for a hike in Tasmania. Wineglass Bay is a stunning beach in Tasmania's east coast. Tasmania is perfect for couples who want to spend time together rather than with other people. The capital city Hobart has interesting galleries and a sophisticated food and drink scene. Elsewhere, the island is full of romantic spots where you won’t see another person. If you like being active with your loved one, there are plenty of things to do in the beautiful landscape from rock climbing to cycling. 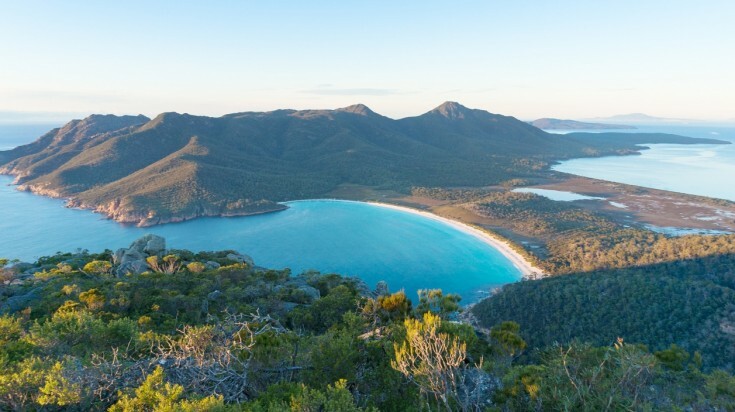 The magnificent Wineglass Bay will leave you with the feeling that you have visited one of the best travel destinations in the world. Why go: For out-of-this-world scenery, food and incredible road trips. When to go: March – May. Autumn has sunny days, vibrant colours, and the best local produce. Insider tip: For a truly memorable end to your honeymoon, be in Hobart for the end of the Sydney to Hobart yacht race, between Christmas and New Year, when the whole city celebrates with food, drink and fireworks. Explore off the beaten paths, and you’ll have a unique and special experience. Plan your itinerary carefully, so that you don’t spend all your time (and money) travelling from place to place. Capitalize on the size of Australia by exploring off the beaten path, and you’ll have a unique and special experience. Stick to a budget. 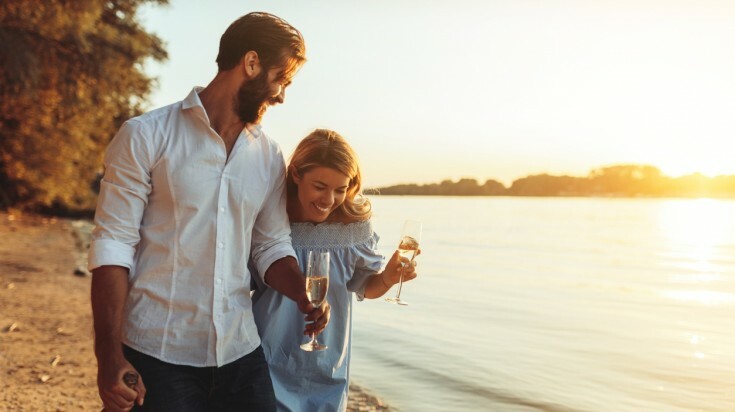 As a couple on your honeymoon, you have plenty of reasons to celebrate, and you could end up spending more than you planned. Tell hotel staff and airlines that you are on your honeymoon. You might be given room and flight upgrades, free breakfasts, champagne, and more! Try something new together. Australia is perfect for trying out new activities, whether it’s surfing or bungee jumping and you’ll create lasting memories. If you are going to spend time together at the beach, make sure that your trip does not coincide with jellyfish or ‘stinger’ season. A honeymoon in Australia offers plenty of variety and myriad ways to create lasting memories. It is also a great choice for adventurous duos who want more than being pampered in a luxury resort. Feeling inspired? Read our top things to do in Australia and our guide to planning a trip to Australia next!